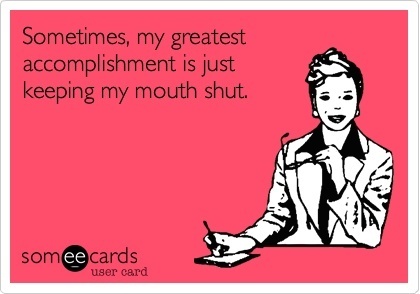 I’m not sure which is worse, keeping my mouth shut or forcing myself to recognize why I wanted to speak in the first place! That;s true. Somedays it is better just to be quiet and say nothing than to say the things that we wish we hadn’t said…I guess speak when spoken to.. We can learn a lot by just listening.